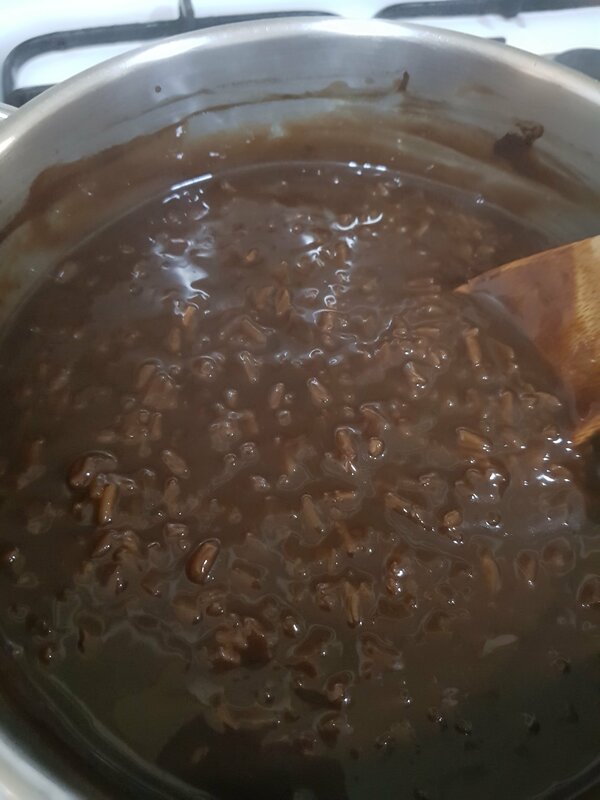 So, today, I wanted my kids to try something I used to have when I was a kid… champorado! 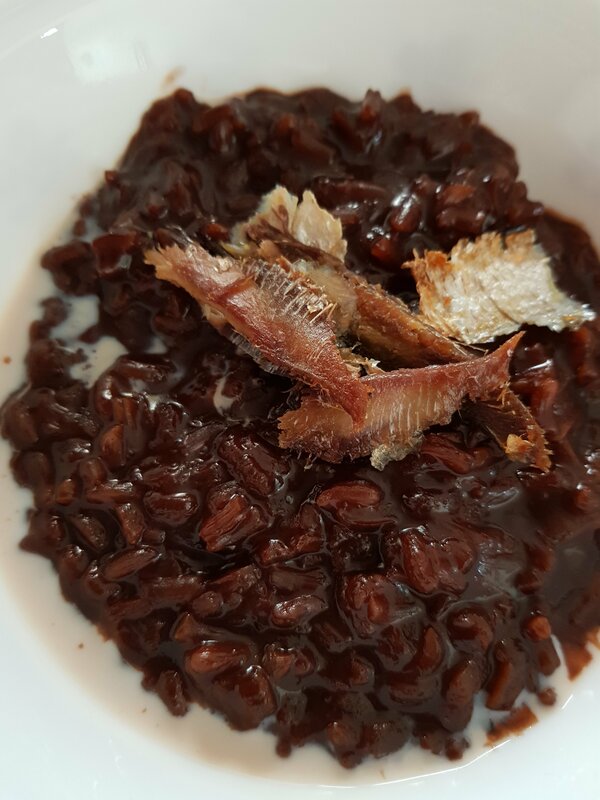 Champorado is a chocolate rice porridge usually eaten for breakfast in many Filipino homes… it’s usually eaten with a dash of fresh milk (I personally preferred powered milk though) and tuyo flakes (popular dried fish). In a large pot, boil water. 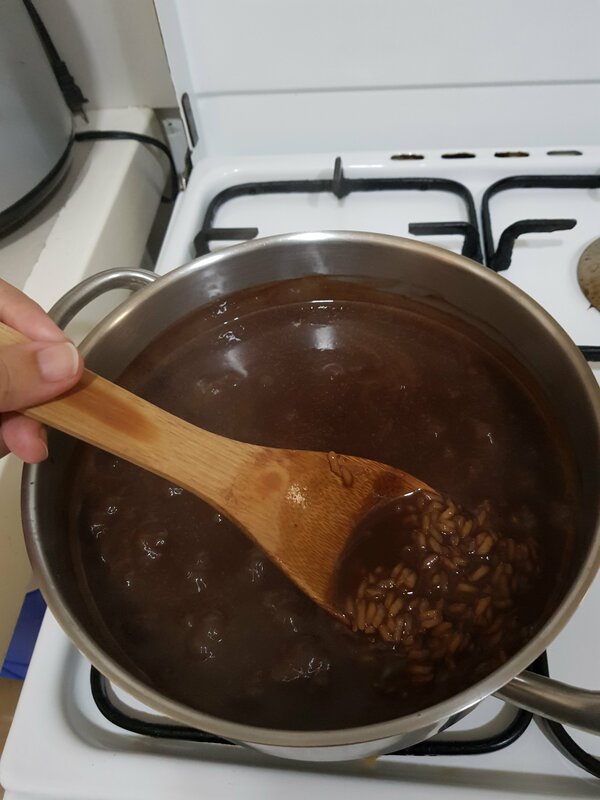 Add rice to boiling water… keep stirring. Add the tablea and sugar. 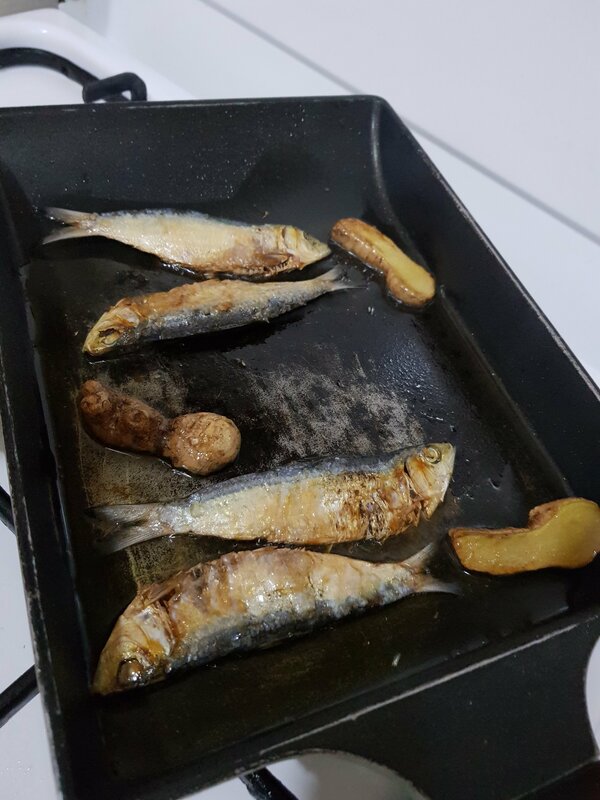 Serve with milk and tuyo flakes on top.